After upgrading to WebStorm 7 I started to get "unresolved" errors on code that worked well on WebStorm6. on it. That method would be unresovled. Attached is a screenshot with such scenation. 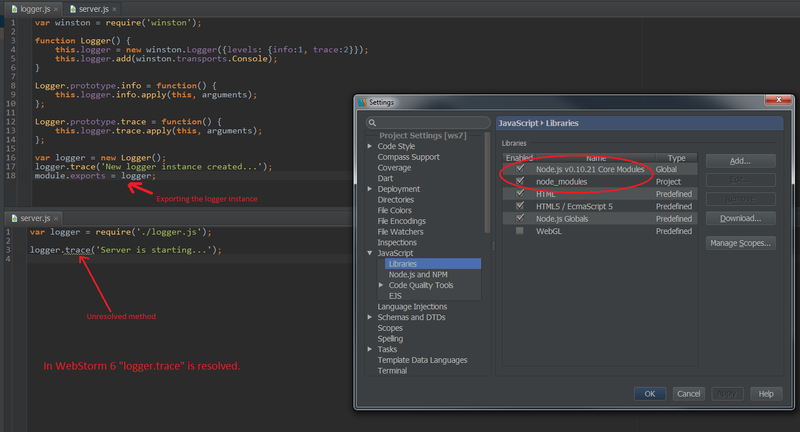 Note that this same code on WebStorm 6 does not get any errors. Any ideas? am I missing some new setting? [EDIT] - Added a zip file with the sample project. 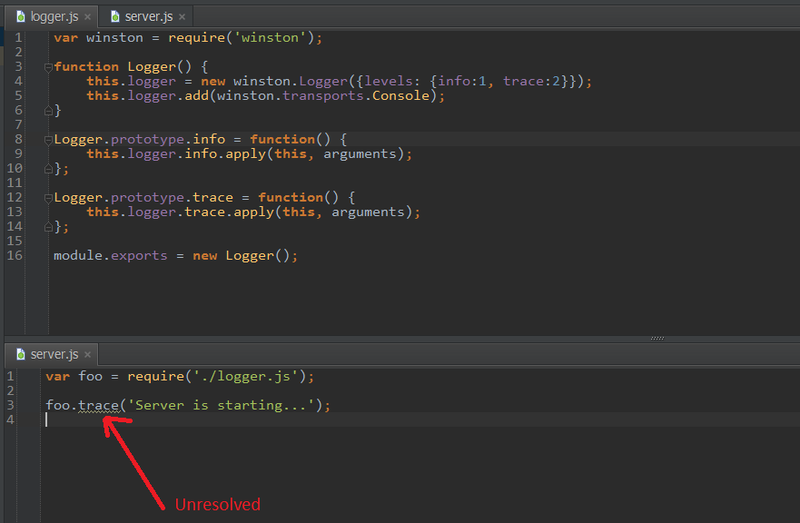 Hmmm, not for me, I both removed and renamed the "logger" variable and still get the unresoved error, see pic.